Comic Con at Prescott Public Library will celebrate with costumed characters, comic book artists, writers, publishers and local merchants will be on hand to answer your questions. Offering discounts on rabies vaccinations, $10 for dogs (regularly $16) and $20 for cats (regularly $25). Some basic instruction for ideas and techniques to spice up your coloring are available. Remember there is no right or wrong way to color, just have fun! The FAIRCHILD BLUES TRIBUTE breaths new life into “The Blues” by creating a hip, fun, and cutting-edge party atmosphere. Learn how to garden with these simple, but effective planting combinations for a design that WOWs all four seasons of the year. Dine under the stars with your dog. Choice of carnivorous or vegetarian meal, plus beer or non-alcoholic drink for $20. Raffle tickets will be sold for gift baskets. Jason DeVore of Authority Zero Fayuca Ikaika Beamer Broke in Vegas The Irie Kellen Hoskins And MORE!!! you don’t want to miss this!! Very informal dress and soft-soled shoes or sneakers are recommended. No partners required for this unique dance that is really easy. Please bring a treat to share during the breaks. 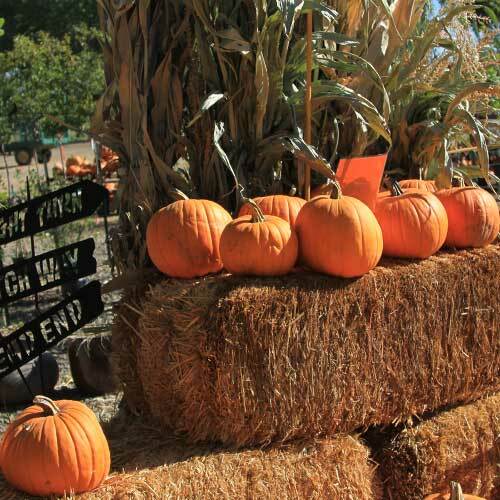 Here are just a few of the things going on in and around Prescott, Arizona this weekend, September 22 – 24, 2017! Showcasing regional & international photography, painting, sculpture, jewelry & wearable art! Meander the streets & courtyards to discover a virtual feast. 4th Annual Hold Your Horses! This inspirational presentation features artwork from thirty-two artists recognized for their outstanding art of the horse. Last weekend. Live Music, 6 food vendors, craft beers – 60 beers on tap, select wines, Brauts. Live Polka music and The Tone Kings. Come join the fun. You’ll be immersed in the music and stories of America’s greatest sibling duo, as well as their early influences and the artists they eventually inspired. Award winning band featuring the Great Highland Bagpipes and drums. Enjoy the music, heritage, and Celtic Culture. Celebrating 16 years of empowering girls to make positive choices and live healthier lives. Special Guest: Olympic Cyclist Chloe Woodruff. We cover native trees, native shrubs, native flowers and native vines that all adapt so well they need no care after establishment. Join the water-wise fun. Enjoy dinner and a magic show, featuring award winning Magician Eric Giliam. Tickets include the Blazin’ M’s chuck wagon meal as well as courtyard activities and attractions. Enjoy the weather, ambiance and history and shop for great antiques. More than 50 vendors will offer glass, art, pottery, furniture, primitives, jewelry and unique surprises. Virgil Earp, Wyatt Earp’s older brother, lived in Prescott in 1879 and told him of the boom town in Tombstone, Arizona. Tombstone prospered from about 1877-1890 through the mining of silver bullion. It has also been rumored that Doc Holliday spent some time in Prescott just before heading to Tombstone. 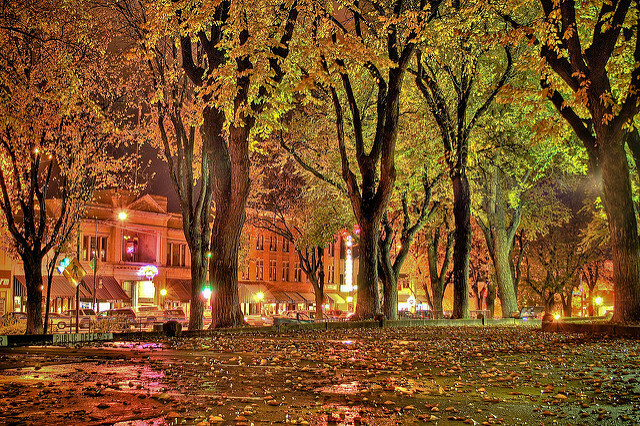 Prescott, AZ is one of the most profitable for home sellers in the nation! ATTOM Data Solutions recently released their Q2 2017 U.S. Home Sales Report which shows the average home sellers price gain in the second quarter of 2017. ATTOM is the steward for the Nation’s largest multi-sourced property database. The report examined 118 metropolitan areas with at least 1,000 home sales in the second quarter of 2017. Prescott made the list at 19 with home sellers seeing an average gain of 47 percent on their investment. According to ATTOM the highest homes with a large return for sellers were found in several areas in California, Seattle, Washington and Denver, Colorado. No matter where you live there is no denying that it’s a Seller’s Market. The number of homes for sale in recent years has continued to dwindle as the demand to buy a home has continued to increase. 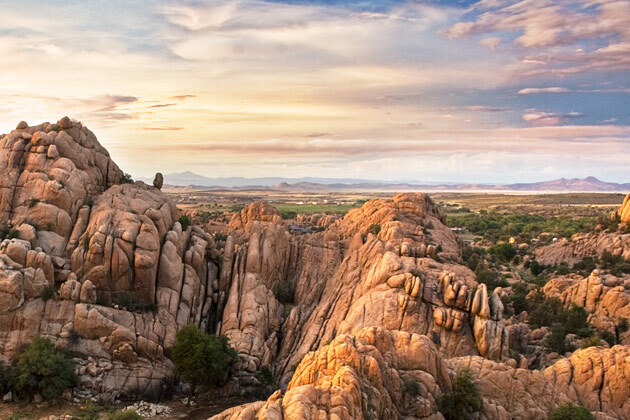 Prescott Arizona is a popular destination and it’s not just for retirees. With an unemployment rate of 4.5% in November of 2016, we actually beat the national unemployment rate of 4.6%. According to Forbes magazine the job’s and economic growth over the next five years is among the best in the United States as we ranked #5 in 2016 nationally in terms of prospective growth over the next several years. In addition Prescott boasts a mild four-season climate, annual snowfall of 24 inches, annual rainfall of 19 inches and on average 277 sunny days per year which is perfect for those who love the great outdoors. Nestled in the Prescott National Forest there are over 400 miles of hiking, mountain biking, and horse trails. Recently named one of the best states for nature lovers, our own Watson Lake is an excellent place to bird watch and it’s endorsed by the Audubon Society. At Kathleen Yamauchi Group Real Estate We know what it takes to sell your home or land quickly at the highest possible value by developing marketing strategies that closely fit your unique property to the buyers in this market. We present your property in a way that creates the motivation necessary to get you top dollar offers quickly. Our in-house marketing team utilizes the very latest real estate advertising technology, and because we employ the services of a professional real estate photographer, your property listing will stand out from the rest. We have one common goal and that is to make your real estate experience smooth, pleasant and enjoyable. With over 100-years of combined real estate experience, we understand this unique marketplace better than most. Contact Kathleen Yamauchi Group Real Estate to learn what your Home’s value is or call us at (928)771-1111. Here are just a few of the things going on in and around Prescott, AZ this weekend, September 15 – 17, 2017! Lynne Drye will perform Classical Adventures on the glass armonica. Stop by and customize the perfect good4u snack with an organic apple no-bake “cookie” and a selection of 100% organic bulk toppings. This inspirational presentation features artwork from thirty-two artists recognized for their outstanding art of the horse. FREE admission and parking. Vendors’ products include ALL HAND CRAFTED items such as quilts, knit and crochet items, wood crafts, fashion items, jewelry, Original paintings in a variety of media, and baked goods. This family-friendly event features crafts and music for peace-making, including peace rocks, peace flags, peace pinwheels, a hike, mandala building and music with Jonathan Best. Funk meets Rock, Pop meets Hip Hop. Elder Grown combines the freedom of improvisational Jams with their Captivating, Original songs. Sally Barris is an A-list Nashville songwriter & Colorado’s Rebecca Folsom is a seasoned vocalist and songwriter. Come hear their music in "The Folk Sessions". Frustrated gardeners will have all the tools they need to keep the garden pest free! From the smoke-filled nightclubs of 1950s New York to the peasant villages of pre-modern Russia, conductor Tito Muñoz kicks off the Yavapai Symphony Association’s 51st season with a bold and colorful musical masterpieces. Here are just a few of the things going on in and around Prescott, AZ this weekend September 8 – 10, 2017! The works of Elizabeth Bartlee & Joseph Rech on display through Sept. 14th. 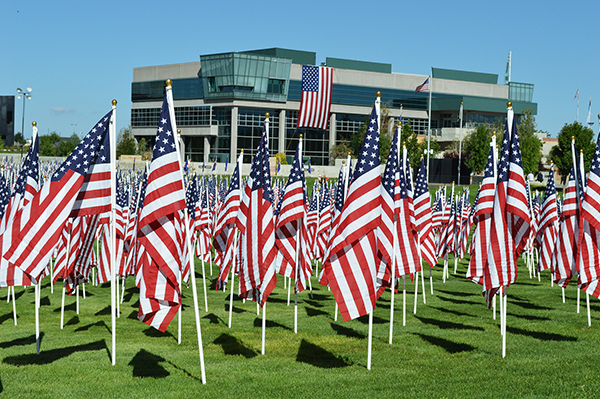 Join us on September 8 on the Civic Center grounds for the Prescott Valley Healing Field of Northern Arizona opening, when 3,000 American flags fill the lawns. Flags will be removed 9/15 @ 4pm. Registration @ 6am, run will take place through downtown Prescott. Award-winning musician and composer Shawn Michael Perry will play along with the Yavapai College Brass Quintet. You’re invited to bring chairs or blankets to relax and enjoy. Learn about flute history, stories, traditions, and even get the opportunity to play if you so desire. This free event. There will be a whole day of fun and excitement with vendors, a raffle, classic cars, music etc. Help us raise funds for the kiddos! Benefiting Children’s Miracle Network and Phoenix Children’s Hospital. Jane Eppinga, will share multiple stories of disappearances, murders and unsolved cases from the annals of Arizona history. This is a free event. The Ultimate Eric Clapton Tribute Show recreates a Clapton concert with music that spans his sensational career and contribution to Rock ’n’ Roll! This is an information packed class guaranteed to increase garden blooms and fruit this year. Included bagpipers, an honor guard, lowering of the flag on the Civic Center roof, and the playing of taps. Central Arizona Fire and Medical Authority Chief Scott Freitag will speak. Thinking of selling your home on your own Prescott? According to a study by Collateral Analytics, “For Sale by Owner” (FSBO) homes tend to sell at far lower prices than homes that are sold through Real Estate agents that list properties for sale via MLS (Multiple Listing Service). Generally when you hire a Prescott Realtor, the selling price more than makes up for the commission fee. MLS is a dynamic and comprehensive listing service for relaying property information to REALTORS®. The MLS system allows a listing agent to market your property to potentially thousands of other subscriber REALTORS® which can expand the marketing of your home well beyond local buyers. Buyer’s agents almost exclusively utilize the MLS service to access information about a homes location, the price point, size, number of bedrooms, architectural style, and other amenities the home has to offer. Also, the MLS includes helpful information on available financing, taxes, showing times, and specific closing requirements. In contrast to a Realtor selling your home for you, when a homeowner lists their property as a FSBO (For Sale by Owner) the reality is they face the task of finding valuable resources to expose their home to the real estate market. Also, they are legally responsible for every step of the way. Liability rests in the hands of the seller. Should an item in the home be falsely represented, the seller bears full legal responsibility. Paper work legalities. With the advent of online sites, a Seller can indeed download a contract. The fact is not all contracts are one-size, fits-all, and private sellers often don’t have the experience or know how to customize a complicated transaction should the situation warrant it. FSBO’s tend to stay on the market longer than those properties that represented by a Real Estate agent. Let’s face it Real Estate agents not only have the experience, but they also have a greater number of resources available to them to market your home for increased exposure. Inspections and codes. Systems for homes are often changing, and unless you have the time and resources to track code changes, there is always the possibility that you could get into a situation where you make unnecessary and costly updates to your home. How much is your time worth? When you hire a Realtor to sell your home, they take on the responsibility of scheduling and showing your home to potential buyers. Of course, if you are selling your home yourself, the responsibility rests squarely on you. The bottom line is that reputable Real Estate agents not only know their markets well, they also have far more resources available to them to get a home just the right amount of exposure to close the sale. Also, they are up to date on code changes and contracts, and you can rest assured that the sale complies with the current legal standards. If you are thinking of selling your home on your own, please contact Kathleen Yamauchi Group Real Estate or call (928)771-1111 to talk further about the alternative advantage of hiring a Prescott Realtor to represent you. From all of us at Kathleen Yamauchi Group Real Estate we wish you a wonderful Labor Day weekend.